The Center for the Arts purpose is to offer free lessons to those children who can not afford them. 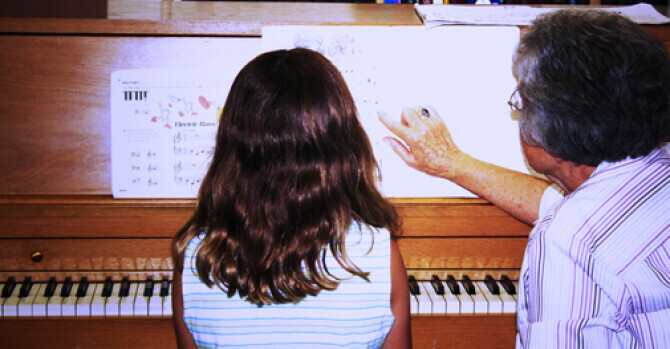 We have been working with Second Street School in giving free piano lessons since 2006. We currently have 7 students being taught by four different teachers. We have also offered drama and art in the past. The piano students come to the church after school on Tuesdays, Wednesdays, and Thursdays to practice. Each student receives a thirty minute individual lesson each week. The students present a recital in December and May which is open to the public.